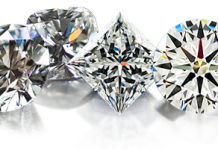 Cleaning your Diamonds and Diamond Jewelries – Being the hardest known precious stones in this world, diamonds could endure any kind of cleaning, though you must be careful especially if your diamonds are bezel set. 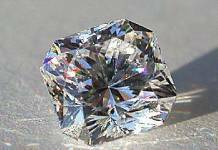 In addition to that, metals that secure your diamonds in place aren’t as durable as the diamond itself so you still need to be more careful when doing this one. Cleaning your Pearls and Pearl Jewelries – When it comes to cleaning pearls, using a soft cloth is usually enough. Don’t ever use cleaning agents that are acidic in nature since pearls are mostly made of hard calcium. Acids are known to destroy anything containing calcium in addition to its ability to corrode metals so you must refrain from using that one. 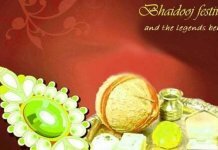 Cleaning silver jewelry – Nowadays, wearing anything that contains silver is very popular these days. However, silver jewelry being manufactured today aren’t as pure as those made five decades ago so cleaning can be somewhat different from one silver jewelry to another. Depending on the other metals that are melted along with silver, you must make sure that you do some research first before proceeding to clean your jewelry. Using an Ultrasonic Jewelry Cleaner – If you happen to possess hard to clean jewelry, chances are that you need to buy an ultrasonic jewelry cleaner if you want to have the job get done. However, you must make sure that your jewelry can be cleaned by using this method in order not to make things worse. Additional Jewelry Cleaning Advice – Usually, most people ask their jeweler or the jewel seller for some tips when it comes to cleaning jewels. So make sure that whenever you buy one for yourself, don’t forget to ask the jeweler about the cleaning matter. As a matter of fact, some jewelers even sell jewel cleaning tools and solutions along with their jewelry.